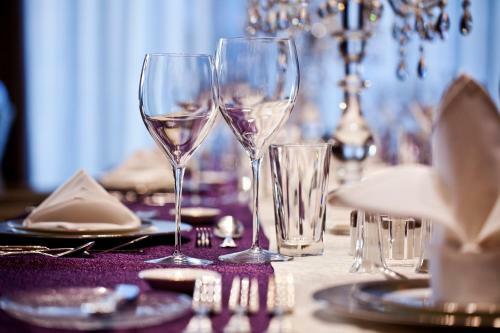 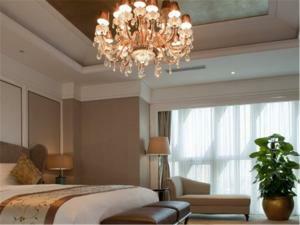 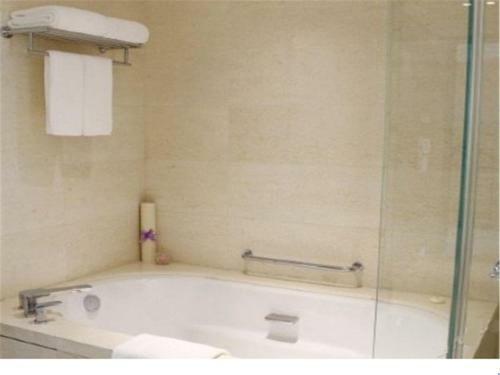 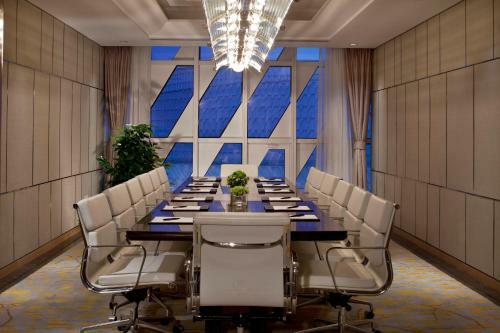 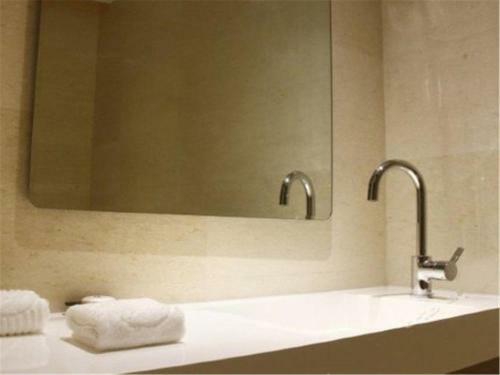 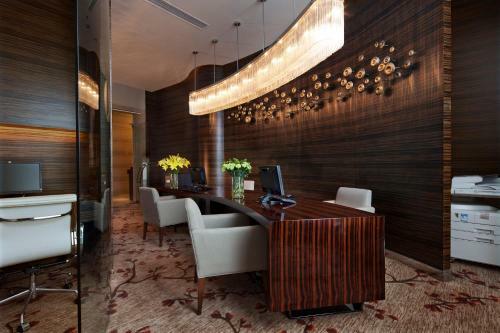 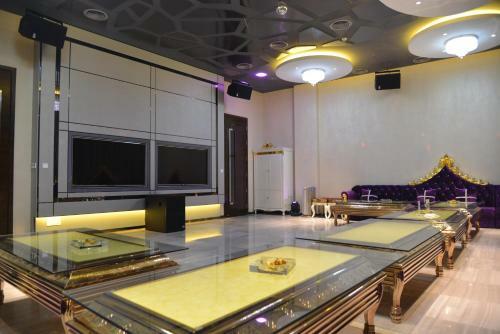 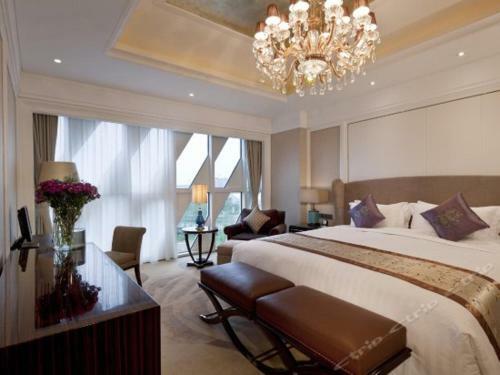 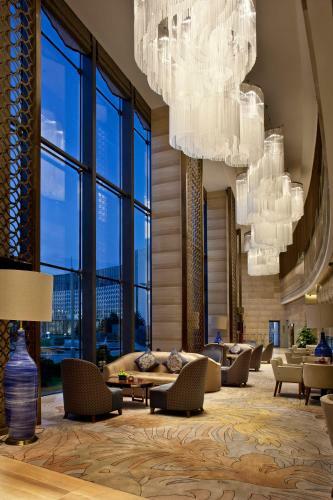 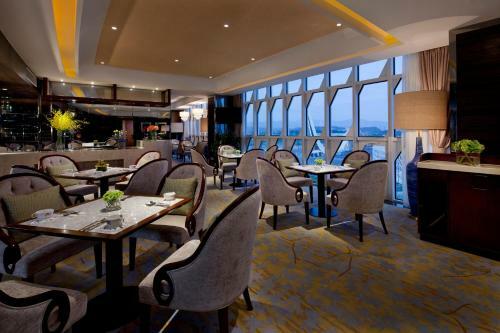 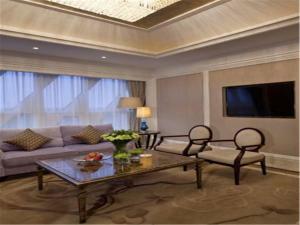 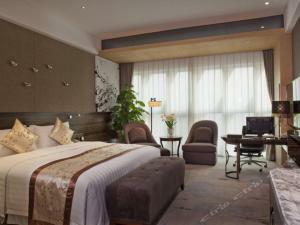 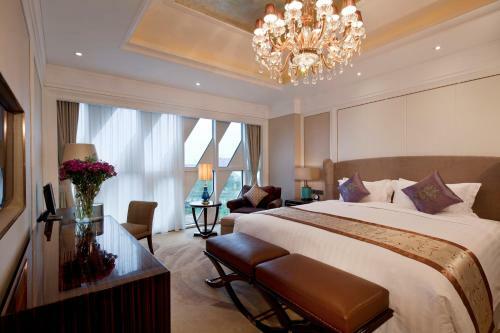 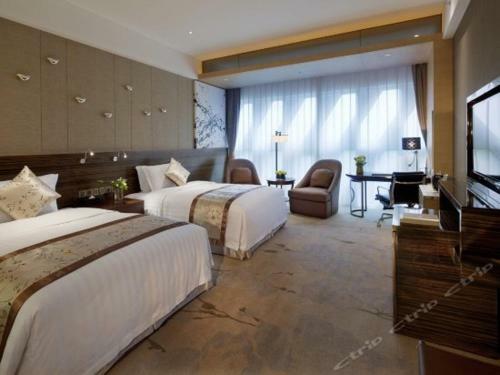 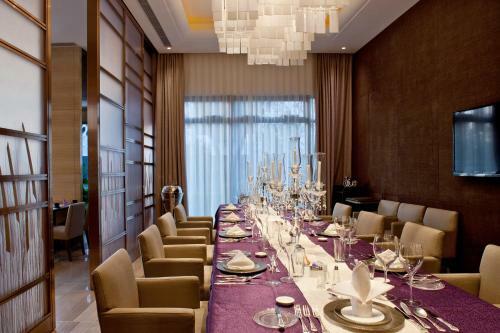 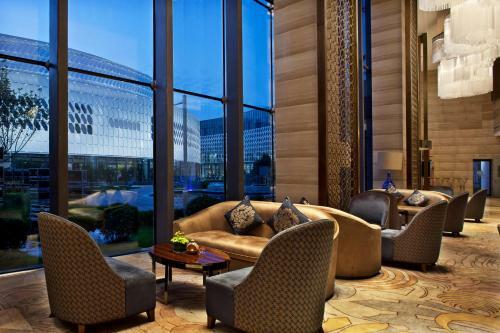 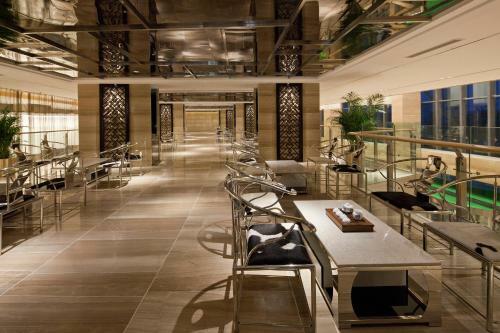 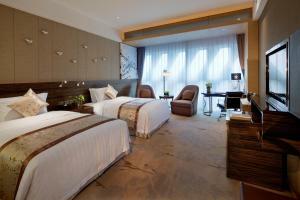 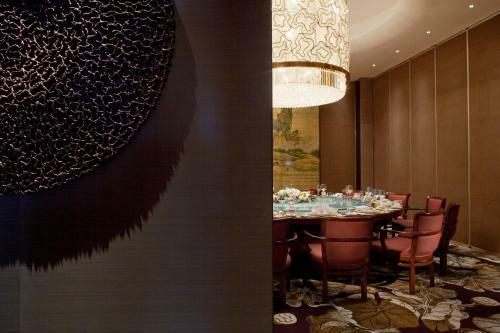 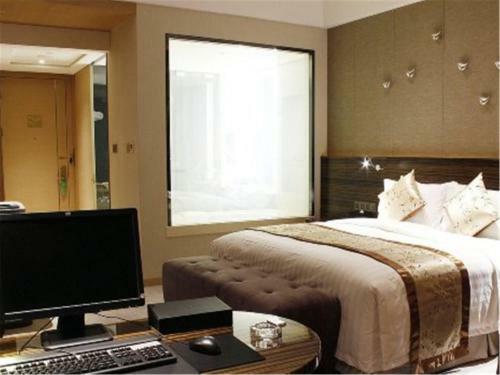 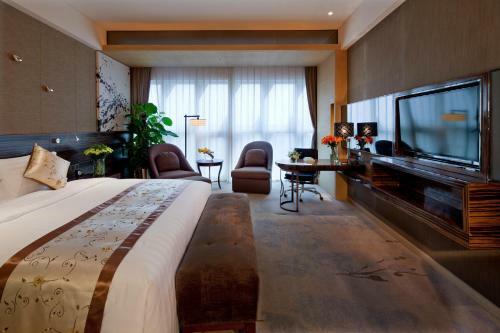 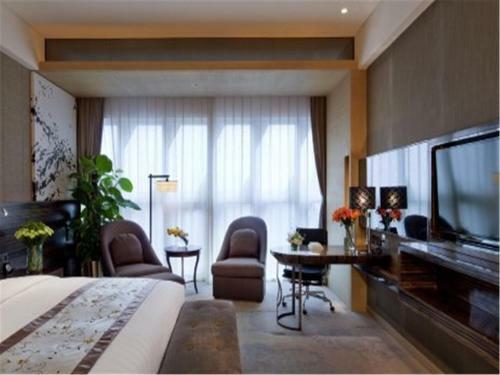 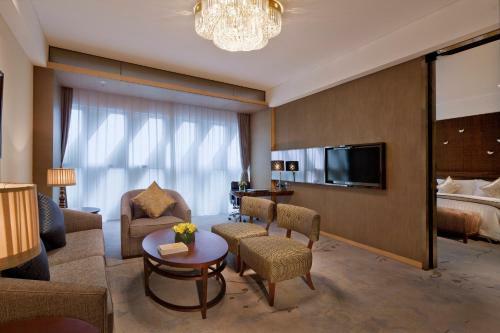 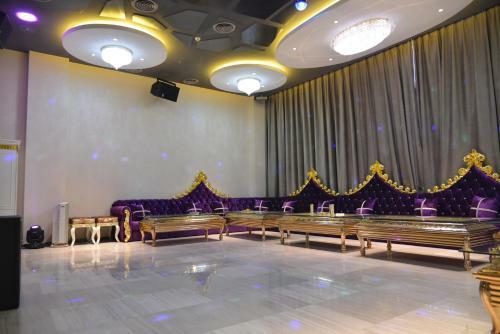 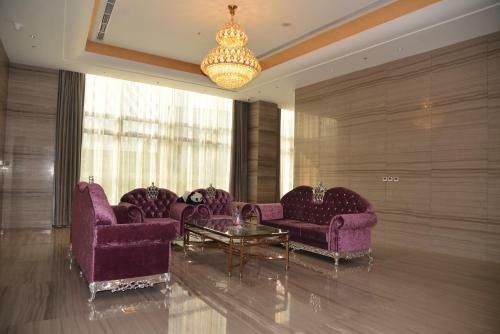 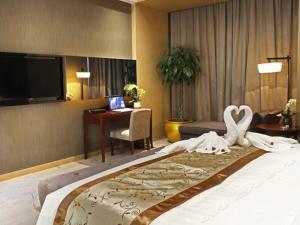 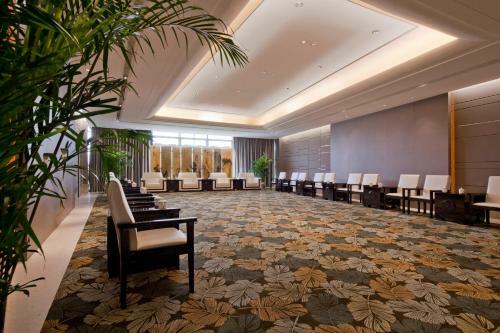 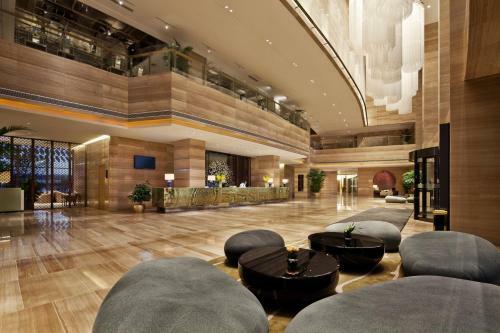 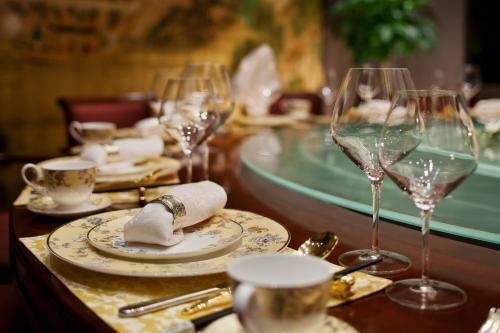 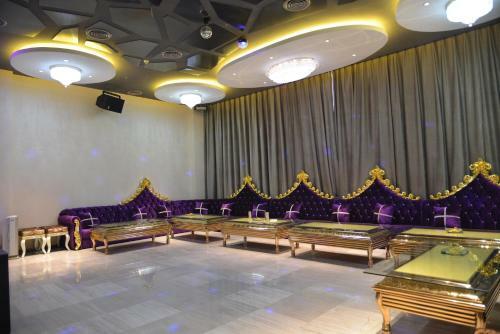 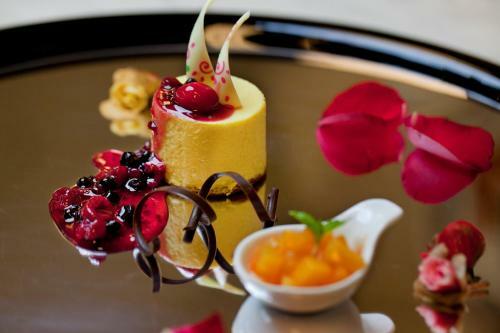 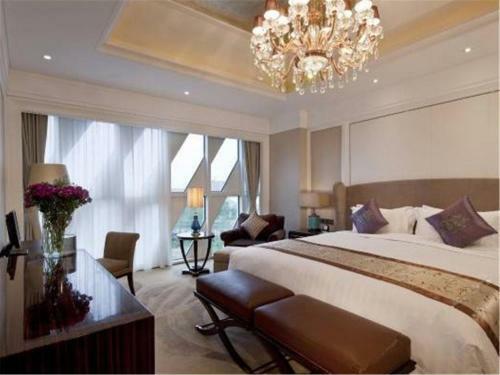 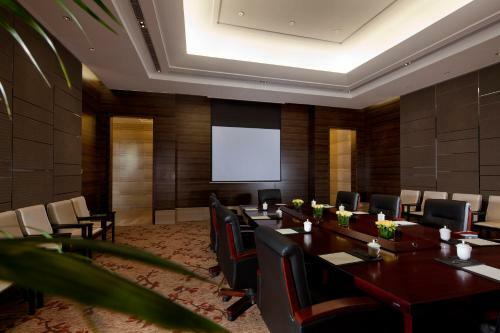 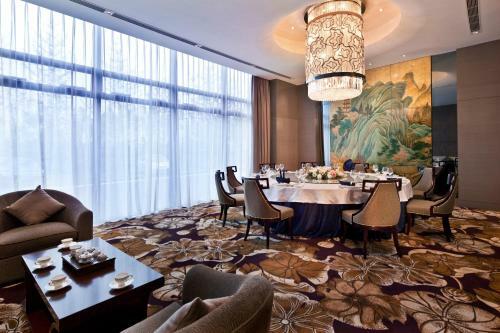 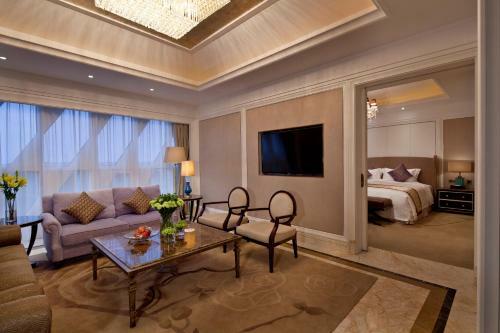 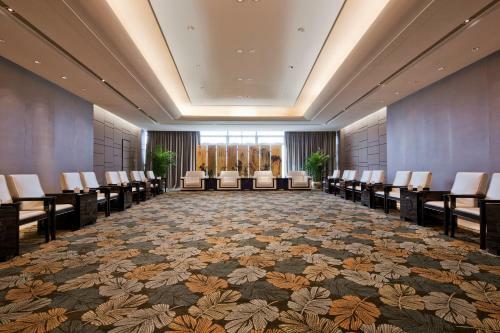 Beijing Riverside Hotel is a luxurious 5-star hotel. 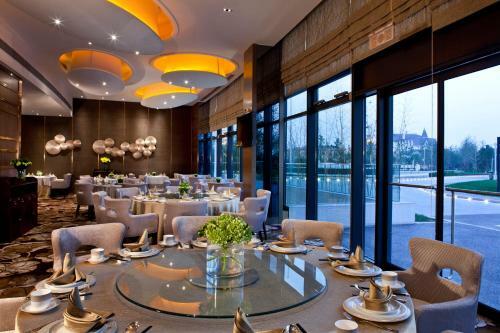 It is located in the Garden Expo Park, where 10 thousand acres of trees provide fresh air. The property features free WiFi and free private parking. 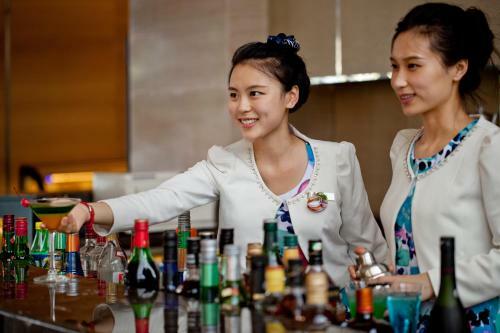 The property has a sun terrace and views of the mountain, and guests can enjoy a meal at the restaurant or a drink at the bar. 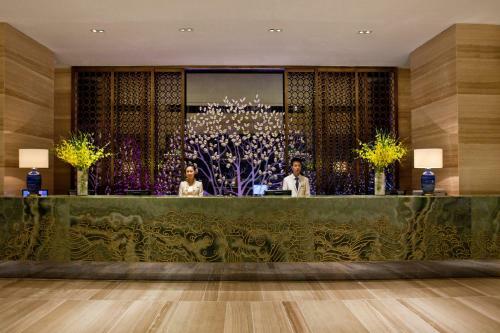 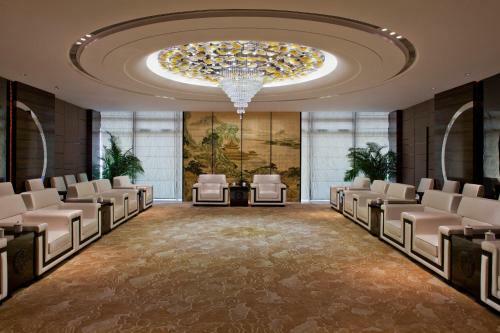 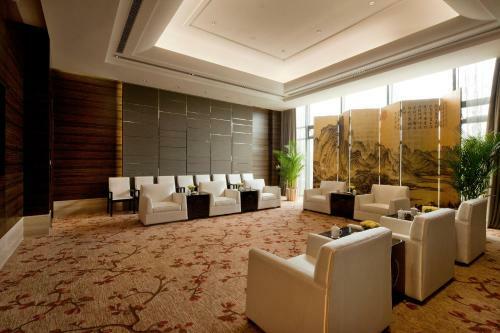 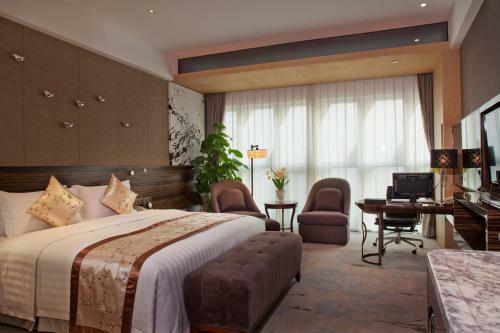 Beijing Riverside Hotel is a 30-minute drive from Summer Palace and a 40-minute drive from Wangfujing Street. 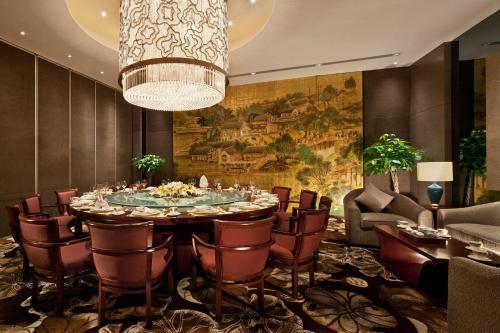 It is a 35-minute drive from Tiananmen Square. 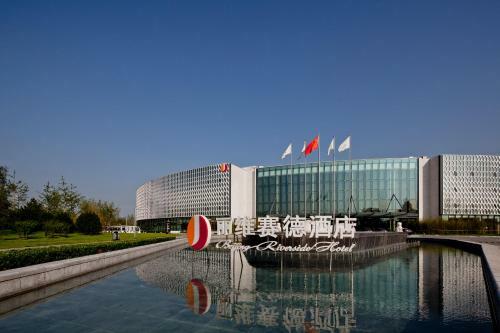 Beijing Nanyuan Airport can be reached within 40 minutes’ car journey. 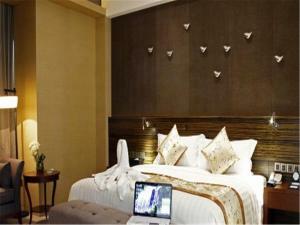 All air-conditioned room come with flat-screen TV with cable channels, Ipod docking station. 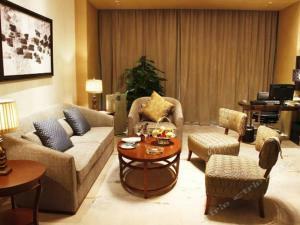 Some units have a seating area where guests can relax. 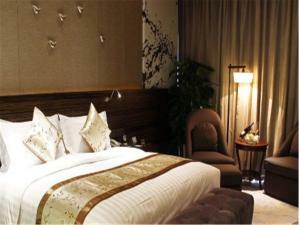 Certain rooms include views of the lake or garden. 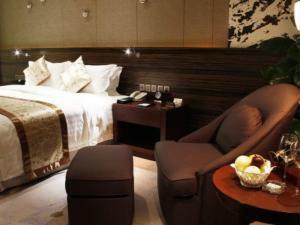 Extras include bathrobes, slippers and free toiletries. 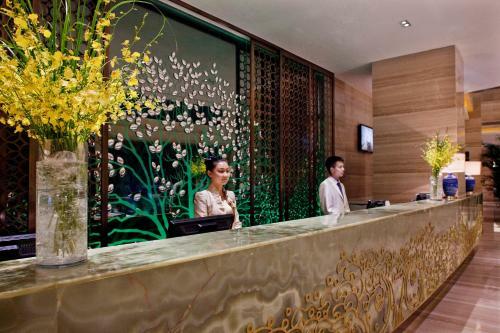 There is a 24-hour front desk, a cash machine and gift shop at the property. 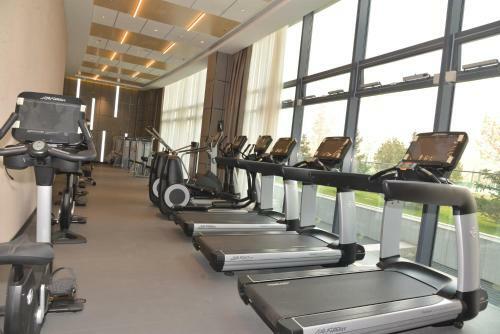 The property also features a barbecue and a fitness centre. 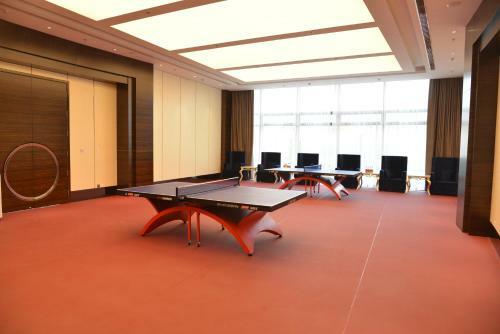 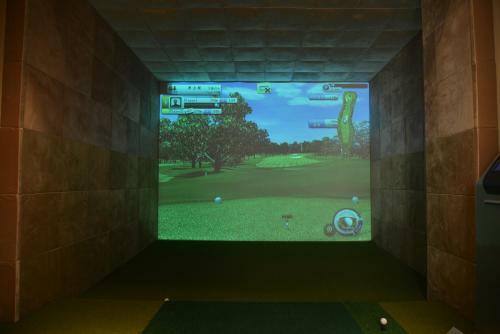 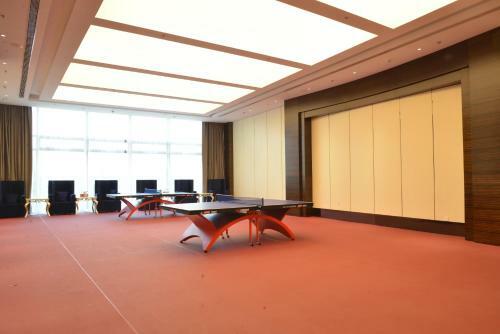 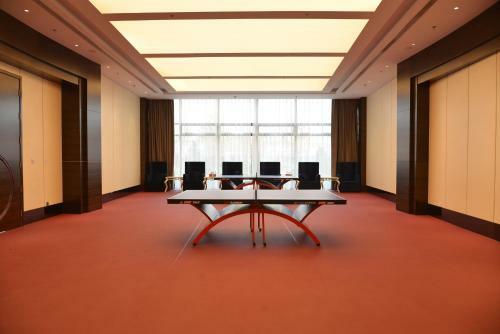 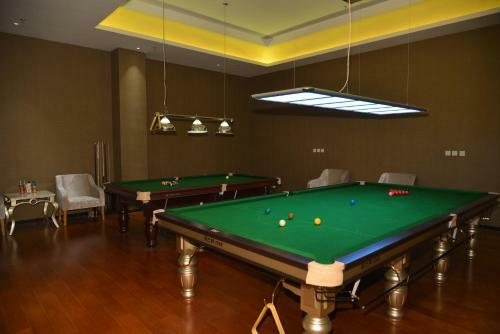 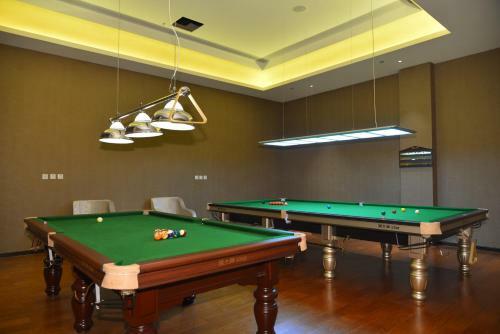 Guests can play table tennis, billiards and mini-golf at the property. 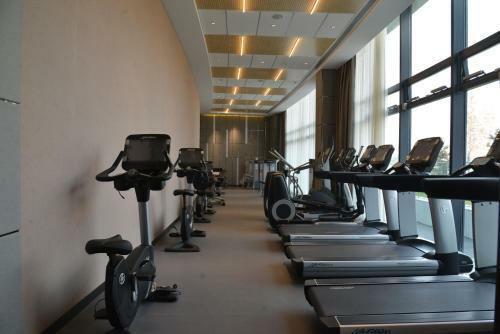 Free use of bicycles is also available. 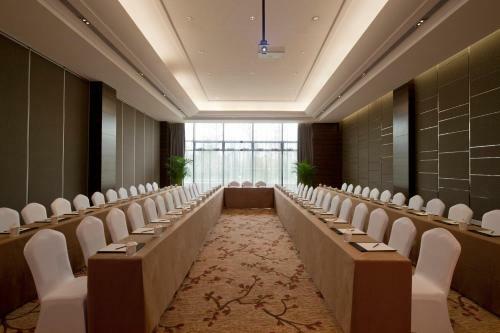 The property boats 4200 square meters of meeting facilities, including 12 function rooms. 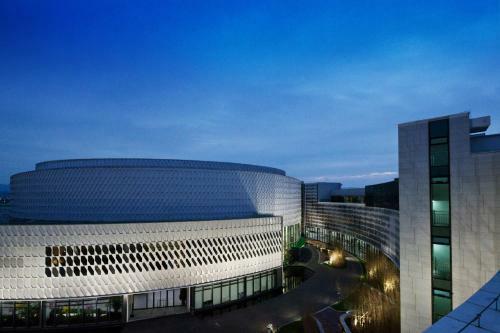 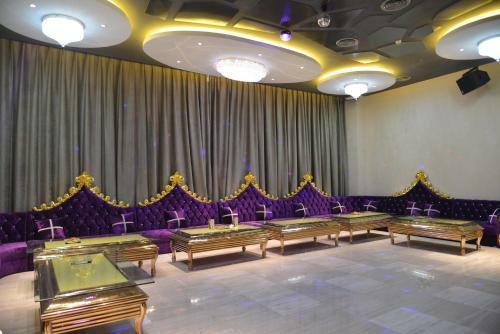 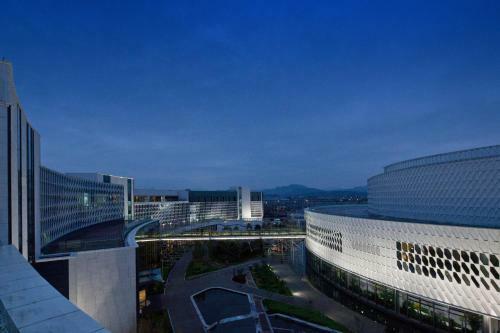 It can accommodate 500 to 2500 people. 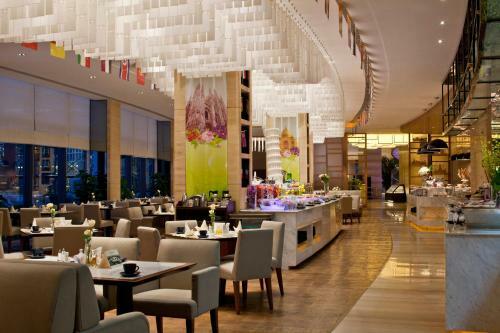 Guests can enjoy Chinese and western dishes at the two on-site restaurants. 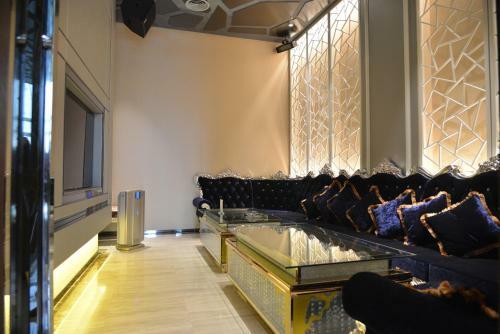 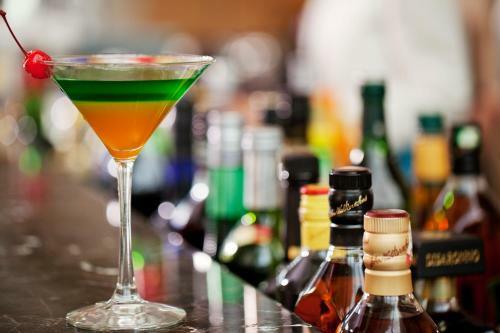 The bar in the lobby also provides a nice place to relax with drinks. 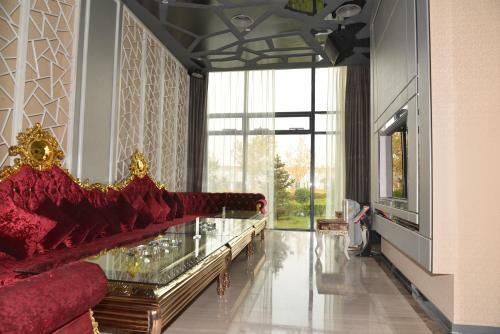 Deze tweepersoonskamer met 2 aparte bedden is voorzien van een minibar, geluidsisolatie en airconditioning.